Franchises don't do horror gaming any favors, says the man behind The Evil Within. Shinji Mikami, hard at work on The Evil Within, managed to pry himself away from his desk long enough to say a few words to OXM about horror, gaming, and whether or not his latest is anything like The Ring. It is, you'll be pleased to hear, and its reality-bending aesthetic will have you wondering whether you're looking at the real world or its shadow. But, says Mikami, the core of horror is atmosphere, and that's something The Evil Within will have plenty of. Just don't expect any flamboyant visuals. "We don't need flashy for horror games," says Mikami. Franchises don't do horror much good either. Mikami's deliberately avoiding the Call of Duty approach with sequel after sequel, since repeats can't ever capture the essence of the original shiver show. People get used to the concept, the fictional world, and before you know it they're laughing at the monsters, or - even worse - getting bored. 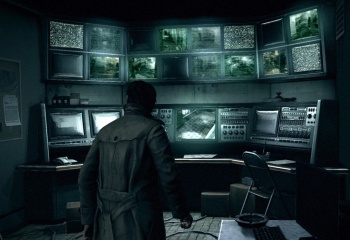 Mikami's clearly feeling his way with The Evil Within; he's still not sure what to do with Kinect, online connectivity, or the Xbox One's new triggers. He's confident that he can make this one as scary as his best, maybe even more, "but I don't think I would be able to beat every aspect of them," he admits. He wants to drag in as many new players as possible, but knows that if he's to reach that goal "the game has to be really, really scary." The Evil Within is Mikami's next generation survival horror title, and his shot at becoming the scariest creator in horror gaming again. Cross your fingers, and keep your four leaf clover close. This might turn out to be a lot of fun. It's due for PC, current and next generation consoles in 2014.